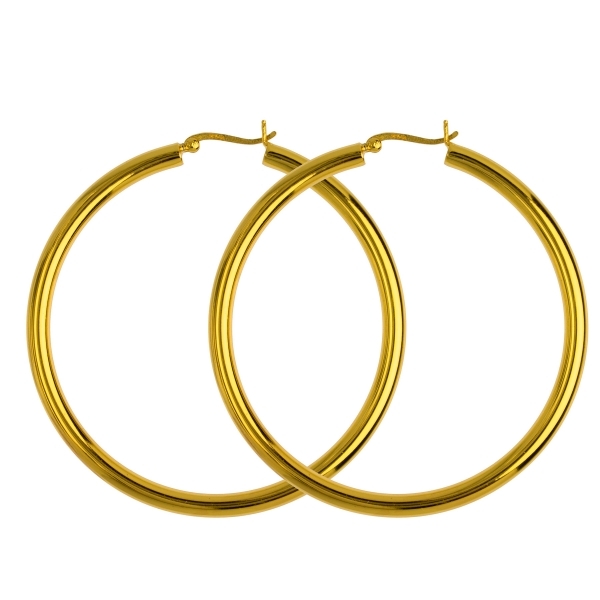 Statement hoops in gold plated sterling silver. You can easily combine these earrings with other earrings to create your own unique look. Use our Alina earrings to make your everyday look a bit more extraordinary.